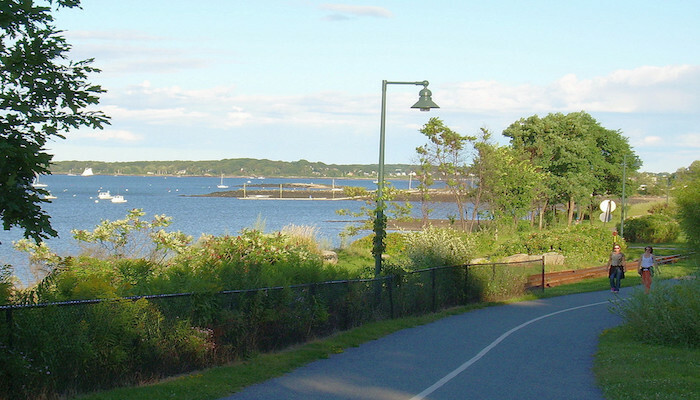 The Harborwalk Trail is sort of a ‘tour de Portland’, connecting Portland’s East End beach and South Portand’s Bug Light Park, and includes paved trails, sidewalks, bridges, and portions of the South Portland Greenbelt Walkway. There are water views and a dedicated path most of the way. We’ve mapped out the 6 mile one-way route — but join at any point and do as much as you can! East End Beach is Portland’s only public beach. 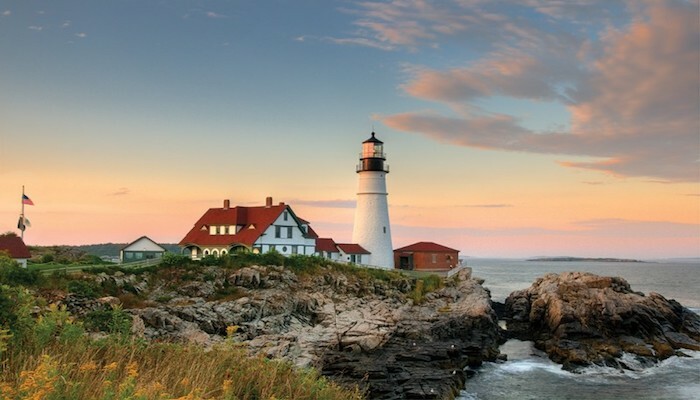 After your run you can swim at the sand and pebble beach while watching the sailboats bobbing on their moorings in Casco Bay. From East End Beach, the trail proceeds along the Eastern Promenade Trail to Portland’s Old Port where it joins with the sidewalk at Commercial Street . 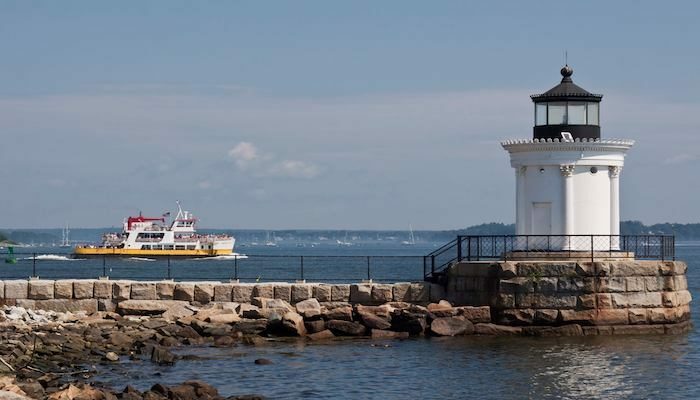 It then takes you through the bustling waterfront area where it connects to Harborview Park and onto the Casco Bay Bridge, with a scenic water crossing. Across the bridge, a ramp leads to Thomas Knight Park, South Portland ‘s waterfront market area, and the South Portland Greenbelt Walkway. The paved greenbelt trail leads to Bug Light Park. Greetings! Very helpful advice on this article! It really is the small changes that make the largest changes.